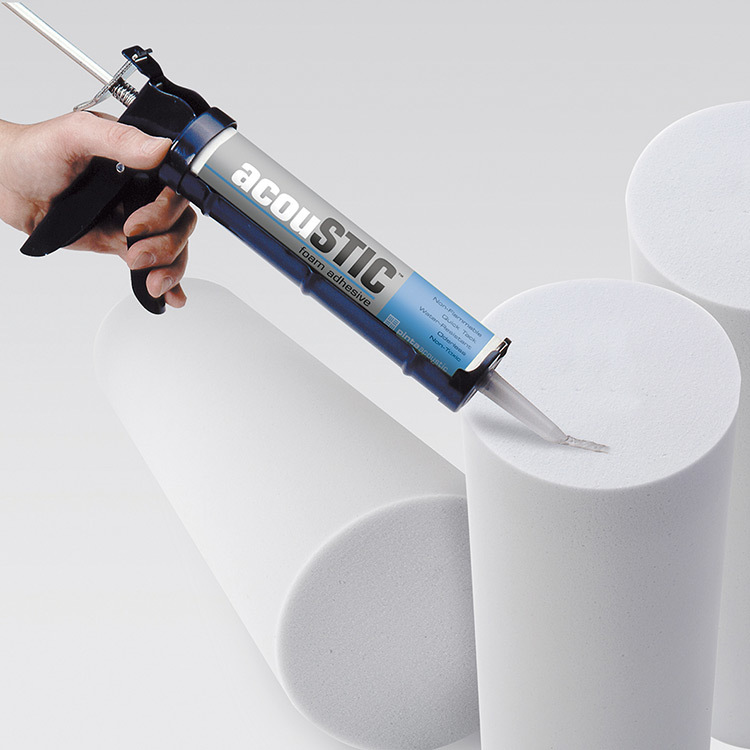 One 10.5-ounce tube installs approximately 16-24 square feet of Sonex® acoustic foam wall panels and fits into a standard caulking gun. This non-toxic, water-based adhesive makes installation hassle-free and provides a strong, permanent bond when adhering Sonex® melamine materials to walls or ceilings. 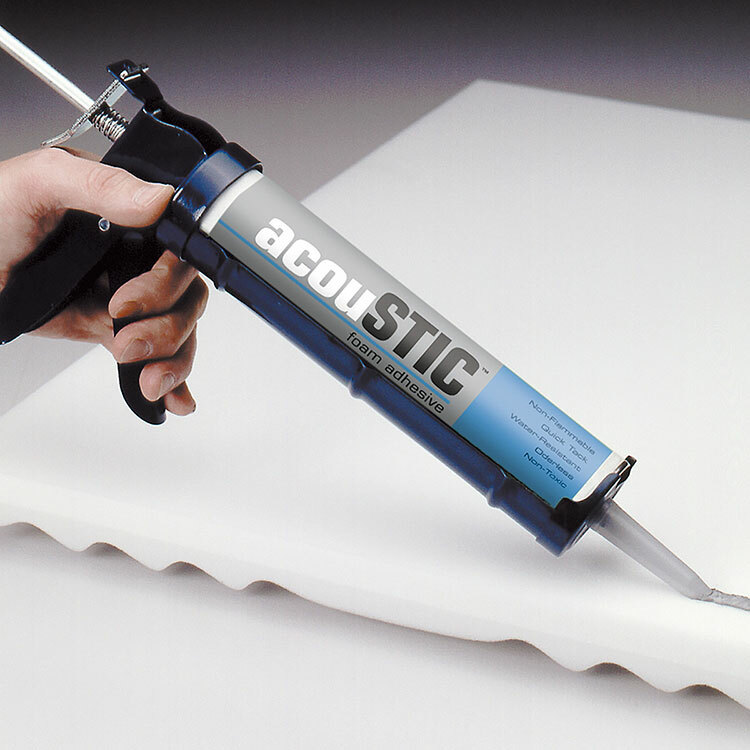 Compatible with Sonex® Panels in both polyurethane and melamine foams. Sonex® Acoustic Panel Adhesive provides easy clean-up with water. • Handle with care. Do not pick up or handle panels by the corners. • Store panel boxes flat in clean, dry areas protected from the elements and from excessive heat, cold and humidity. • Do not set or stack anything on top of cartons. • Work panels with clean hands, tools, ladders, etc. on clean work surfaces. Wear clean, soft, white, cotton gloves to handle panel installation. • Supersharp, stainless steel, smooth, long-blade insulation knives are ideal for making straight cuts, slicing through thick WILLTEC and SONEX panels. 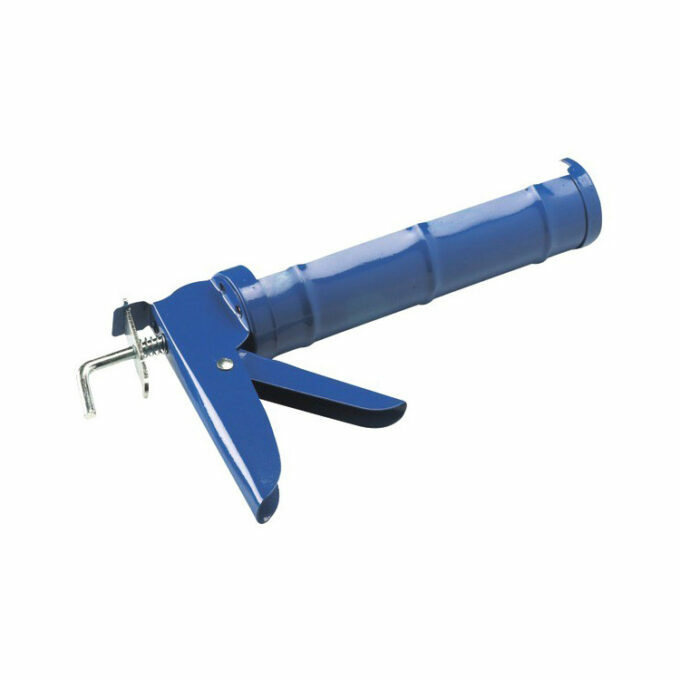 Shorter-length utility and extendable snap-off blade knives are best suited for making smaller detail cuts. • For best results, cut panels through exposed-to-view panel faces. • Make certain that substrate surfaces to which panels will be applied are smooth, clean and level; free of dust, dirt and other residues or contaminants that could inhibit a strong bond to develop. • Cut adhesive tube tips to produce a bead flow of ¼ inch (6.4 mm) diameter. • Run a continuous bead of adhesive around the panel’s perimeter, approximately 1.5 inch (38 mm) from edges; then apply intermittent beads from opposite corners through the center of the panel creating an X. • Press panels firmly into place and smooth evenly across them to ensure a strong, lasting bond; adhesive tack should be immediate.